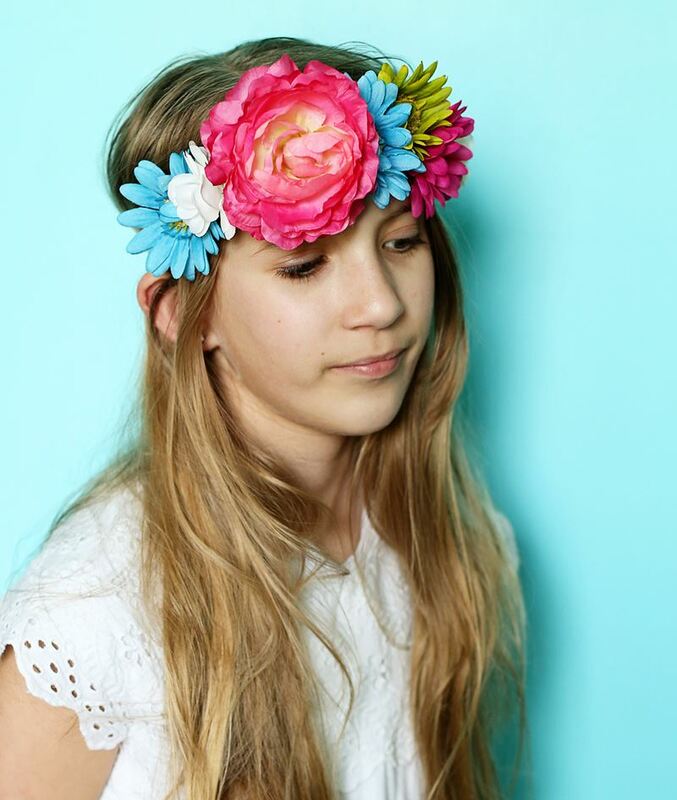 Did you know that you can make your own floral crown?! And you can just glue it together - yes, it's that easy! 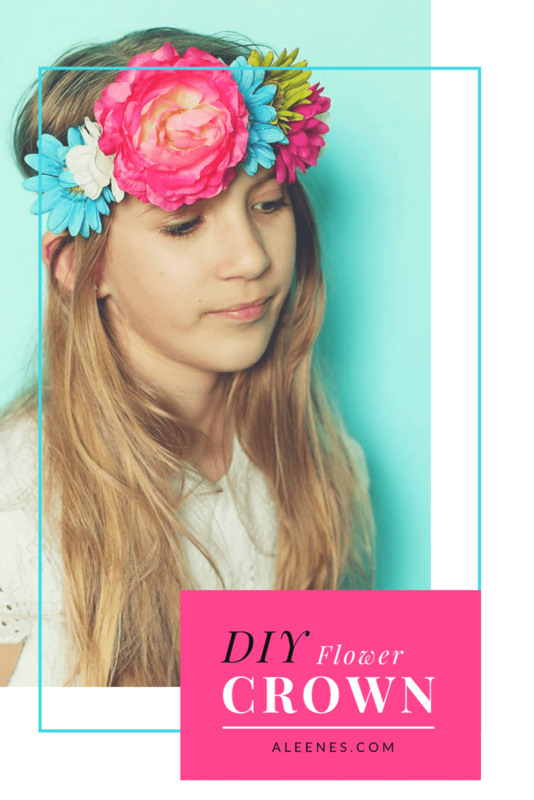 A fun diy project to tackle! 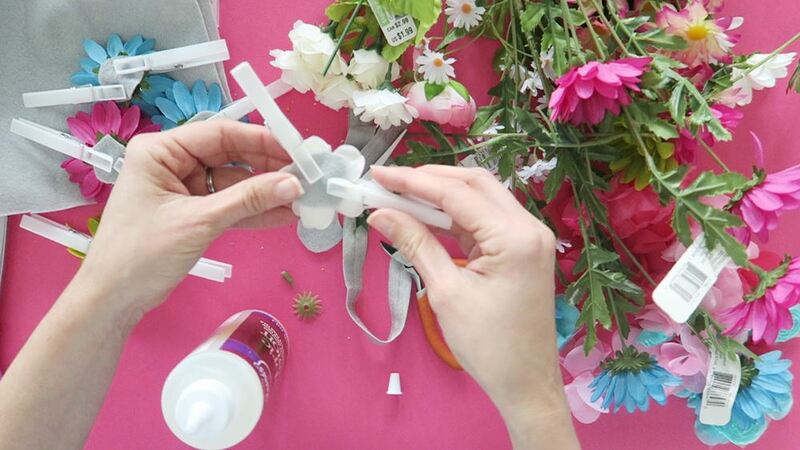 And bonus, this project has it's own awesome VIDEO TUTORIAL!! --Cut scraps of felt into small circles. 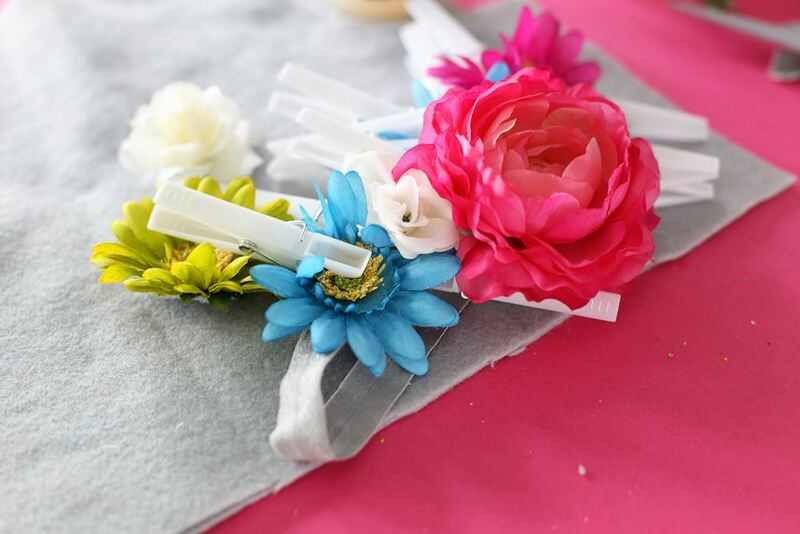 -- Cut the bloom from the stem of the flower using wire cutters. Pull off the plastic piece. 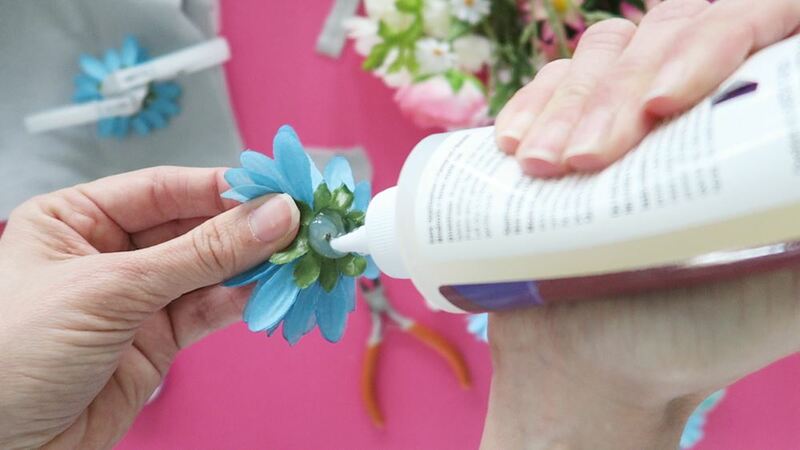 --Using Fabric Fusion, glue the felt onto the back of the flower. --Hold in place with clothespins and let dry. 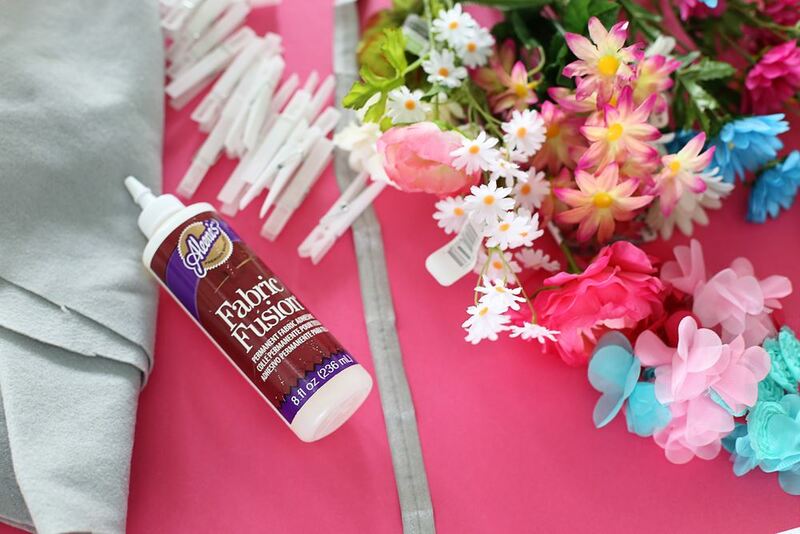 --When dry, use Fabric Fusion to glue the flowers to the elastic band, at the point of felt. Hold in place with clothespins and let dry.